Best Flour Sifter - The Best Flour Sifter For Your Kitchen! 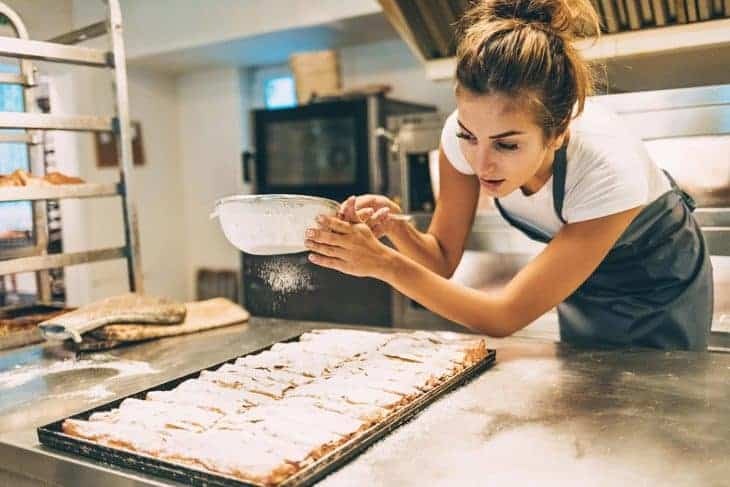 Sifting may prove to be unnecessary with the existence of commercial products but sifting your own ingredients, especially flour always pays off! As such, I am here to discuss and review five products to let you know which is the best flour sifter for your kitchen needs! I have also provided a comprehensive buying guide for the best flour sifter. Read away to find out and discover the qualities of the best flour sifter that you should consider! This flour sifter is one of the top contenders for the title of the best flour sifter. And it isn’t hard to see why. First, it is a lightweight sifter which surprisingly can hole up to three cups of powdered sugar and/or flour easily. Its measurement marks can also be easily read in an out of the unit which is of course a big benefit. It is also very easy to clean because of its simple but elegant hand crank and single mesh unit. Aside from that, its double loop agitator also helps keep the mesh screen free from any lumps of ingredients. What a way to keep it clean! Lastly, but definitely not the least, it is made of durable stainless steel which is undoubtedly stronger than plastic or aluminum. Say goodbye to rust or lingering bacteria sticking to your flour sifter surface! As such, this flour sifter is definitely a worth investment. This flour sifter is also one of the top candidates for best flour sifter, and this product has enough reasons why. First, it can also accommodate up to three cups to sift, just like the first contender. It also comes with a lid in order to prevent the ingredients from leaking or making a mess when you’re sifting ingredients. Not only that, this flour sifter also comes with a bottom cover which takes care of it during storage. Now, you don’t need to worry about a messy cupboard when storing this product. It also has two wire agitators which can efficiently and effectively sift a multitude of ingredients including baking powder and cocoa. It also features a traditional crank design which may be the better option for some because of its ergonomics. This flour sifter is also made of stainless steel which is of course better and stronger than aluminum or plastic. It is also resistant to rust, so you can rest easy about rust getting anywhere near your food. It also has a 100% lifetime satisfaction warranty so you can have this flour sifter replaced or refunded if you’re unhappy about it. This electric sifter is your best companion if your hands are weak or you’re sick. It’s a bit different from the rest of the contenders in this list for best flour sifter as it’s the only that’s battery operated. It is operated using a C battery though it isn’t included. It also has more capacity for sifting as it can accommodate and sift a maximum of 5 cups of ingredients. Since this electric sifter is battery operated, it is made of plastic. However, the plastic is very lightweight and is graded BPA-Free, which stands for safety. This electric sifter isn’t also dishwasher friendly, so you have to clean it by yourself and manually. It makes up for this though as this electric sifter always and consistently sifts ingredients without any mess whatsoever. This flour sifter by Mrs. Anderson’s is a versatile contender for the best flour sifter as it can sift a multitude of dry ingredients aside from flour. It’s fully made of stainless steel which denotes that it is much more stronger than aluminum and plastic, and is also resistant to rust. This flour sifter also comes with a mesh that’s composed of fine wire to work on ingredients much faster. It also comes with a wooden hand crank to process the ingredients. This flour sifter also has a large capacity of five cups, just like the Norpro. It also comes with two wire agitators and is very useful for preventing fine lumps from clogging the mesh screen. This flour sifter might also not be dishwasher-safe but can be easily cleaned with lukewarm water combined with soap. This flour sifter is made of plastic, which may seem off but is actually better to use for long amounts of time. It is the only contender in the list of best flour sifter with a pull cord action so you can sift much more quickly and efficiently with less effort. This flour sifter can also hold up to three cups of dry ingredients which is a plausible amount of capacity. The measurement marks are also placed clearly in the flour sifter for easy reference. This flour sifter can also be disassembled easily for quick and hassle-free storage. Lastly, it is dishwasher-safe so it can be cleaned easily. 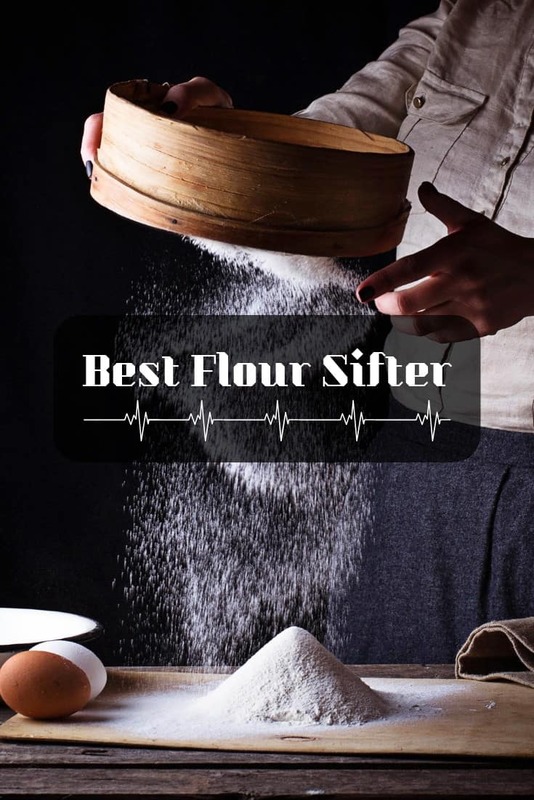 Best flour sifter – the best flour sifter for your #kitchen! For those who are new to the kitchen, you may be wondering why sifting flour is a must. But before we discuss what are the different things that you should look for when buying a flour sifter, we should first discuss why sifting flour is just so beneficial. Let us discuss why sifting flour is something that you should definitely consider before starting with any baking process. 1. Why To Sift Flour? Sifting is essentially a process that both removes lumps and aerates flour simultaneously. It is done by pushing the flour through a device that has a cup storage on one end and a strainer at the other end (such as a flour sifter). When sifted, flour is much lighter compared to unsifted flour. This makes it easier to combine and merge with other ingredients which are especially useful when creating cakes or doughs. Sifting flour with other dry ingredients also makes them more even to combine when they are combined with other ingredients. 2. When To Sift Flour? 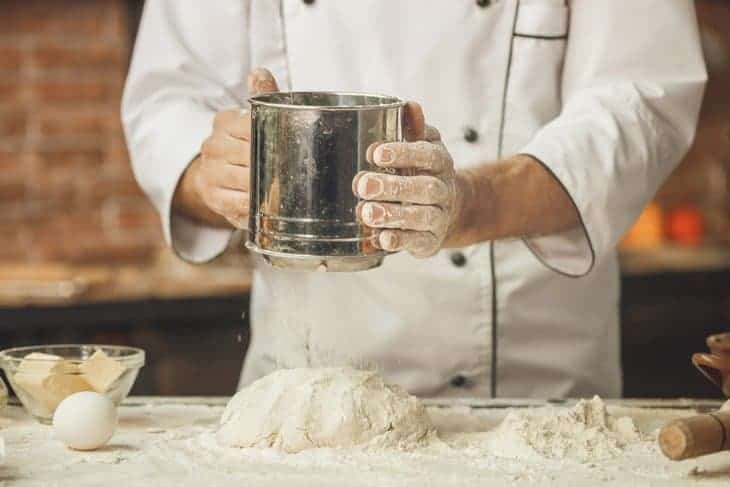 While commercial flour, that is already refined often replaces sifted flour, more people prefer to sift flour to completely customize the flour according to their liking. There are actually instances wherein certain recipes like cakes benefit more with sifted flour. By using sifted flour, lumps can be prevented which may weigh down the batter. 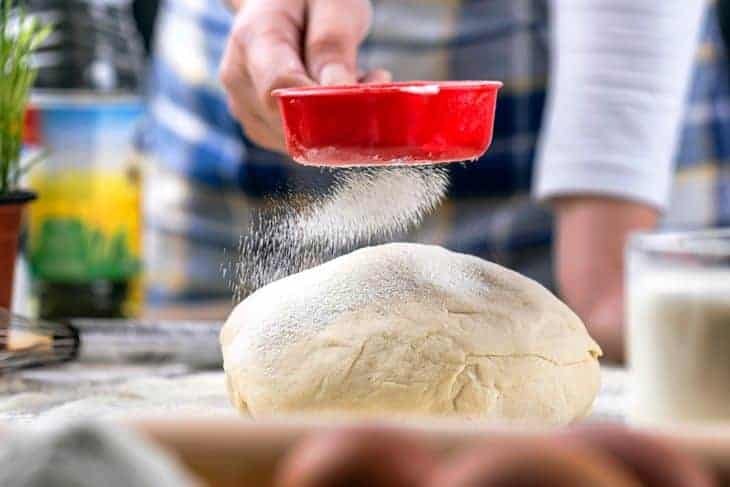 If you have stored flour stored just around for quite awhile and may seem compact, it might also be a good idea to sift it first. 3. How To Sift Flour? 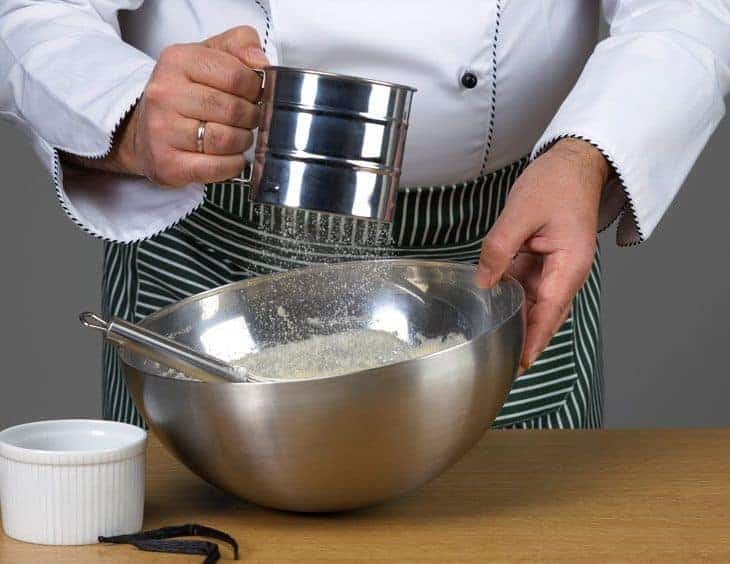 You don’t always need to sift flour, but if your recipe needs it here’s how: First check how the recipe’s wording is formulated. If it says “Y cups sifted flour”, then it means that you should first sift flour, then measure out the required amount. If it says “Y cups flour, sifted”, then it means that you should measure the amount of flour first, then sift it. A sifter is always a valuable gadget if you want to sift better and consistently. 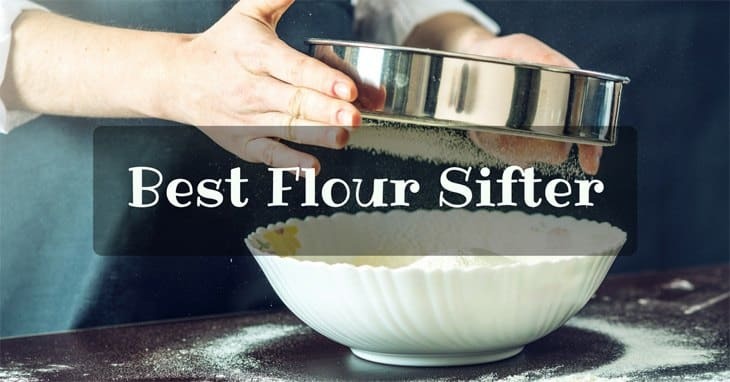 Now that we have discussed the importance and definition of sifting, let us now move on to what you should consider when buying the best flour sifter. After all, you only want the best flour sifter for your kitchen! It should first be decided whether or not you want to get a manual-operated sifter (also called hand-cranked) or an electric sifter. Both have their advantages and weaknesses. Electric sifters are popular for the minimalism and convenience. They work faster and more consistently as they are machine-operated. They can be a bit more expensive but they all make up for it for their performance. People with weak wrists or should definitely consider this type. Manual or hand-cranked models are used by turning the handles. This is a more traditional design but can work just as effective as its electric counterpart. Since you’re the one who’s doing all the work, you can customize how you want your flour to be sifted, and oftentimes can produce better results than electric sifters. The material that the flour sifter is constructed from is mostly personal choice. You can choose from tin, plastic, and stainless steel.Tin is the most lightweight to use for long amount of time, but maybe less durable as it’s very likely to rust. Plastic and Stainless steel are the two more viable choices as they are both resistant to rust and are durable. Stainless steel is a bit heavier than plastic but is much easier to clean and can last at high temperatures when working with hot soups and sauces. It is also important for a flour sifter to be able to hold an adequate amount of ingredients. It is better to work on several amounts at once as cranking the sifter multiple times may be tiring for your wrist. A flour sifter that has a capacity of 3 cups is already viable, though finding a sifter with a larger capacity is better. Convenience is also one of the factors that should be considered. Measurement marks should be easily seen on the sifter. This will allow you to measure out ingredients without having to need a separate measuring cup. This will also allow you to make more concise measurements, which of course equals better cooking outputs. For ease of use, electric flour sifters are undoubtedly better as they only need to be squeezed in order to function. However, the batteries should be replaced every once in a while. If you’re planning on getting a manual sifter, find a hand crank that functions delicately and smoothly. It is preferred to have a flour sifter that’s safe in the dishwasher, but not all flour sifters are such. Luckily, most of them are easy to clean even with just hot water and soap. And the best flour sifter award goes to the Natizo Stainless Steel 3-Cup Flour Sifter! It has met and performed well in all of the factors that should be considered when choosing the best flour sifter. It is a hand-crank model that is very easy to use, clean, and is versatile. It supports a wide array of different dry ingredients to sift. It also has decent measurement marks inscribed on the body so you can ensure that you have the correct measurements. Aside from that, it offers a lifetime warranty wherein you can always ask for a refund or a replacement if you aren’t satisfied with the product. It also is unique as it’s the only product above that includes a lid to prevent flour from making a mess when being sifted.